The Spiritual Psychology of Acting is a systematic body of organic, practical knowledge, comprising of Ten Elements. The knowledge and skill set relating to each of the Elements is assimilated through an understanding of psychological theory, combined with specially developed practical technique exercises. We will look at each of the elements in detail, and teach you the practical means of perfecting each one of them. “John was my acting teacher for seven years (1993 – 2000) and I consider him to be the most important influence on my career. I would say that John’s method of training is unique because of it’s holistic approach to the actor, his life and the story that the playwright or filmmaker is trying to tell. John simplifies everything by encouraging the actor to find the essence of the story, what it is trying to say and to simply serve that. Without ever being puritanical, John encourages his actors to develop a strong ethical code to their work. Through meditation and self-awareness, I was taught to understand the many different aspects of myself and to use this knowledge in creating a character. I personally benefited greatly from the philosophical aspect of John’s work. Over the years he studied and brought into the classroom the influences of Eastern and Western philosophy. This was inspirational. The acting world can be a very competitive and cut-throat profession. John taught me to remain centred and to maintain a healthy balance between ambition and humility. To wish others well rather than to compete against them. During my training with John my career improved tenfold, including; landing leading roles at The Royal National Theatre, being named ‘Best Newcomer’ at the Independent Theatre Awards, a whole host of TV and Film roles and during the final year of training with John, being booked to work on Martin Scorsese’s ‘Gangs of New York’. 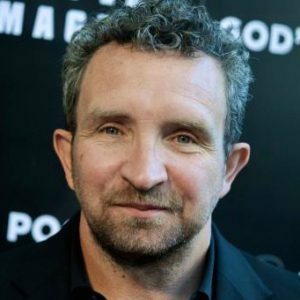 John’s teaching represents the cutting edge of Actor Training in the world today.” – Eddie Marsan; – Credits include ‘Vera Drake‘, ‘Happy-Go-Lucky‘ (Winner: Best Supporting Actor BIFA), Gangs of New York, Gangster No 1, 21 Grams, Mission Impossible III, Ray Donovan. For further information about John Osborne Hughes please hier klicken.